Cebu, Philippines- The Moevenpick Hotel Mactan Island Cebu is pleased to announce that it has been awarded the TripAdvisor Certificate of Excellence last May 22, 2013. TripAdvisor.com, presently considered one of the most popular travel websites among online netizens around the world, is renowned for providing its readers with key travel information. It features reviews and opinions of individuals who aim to share their unique travel experiences with the rest of the world. TripAdvisor showcases wide-scale reviews about hotels, restaurants , and mush more. The TripAdvisor Certificate of Excellence is awarded annually to the top performing 10% of all hotels worldwide, and is given to establishments that consistently earn high ratings from TripAdvisor travelers. 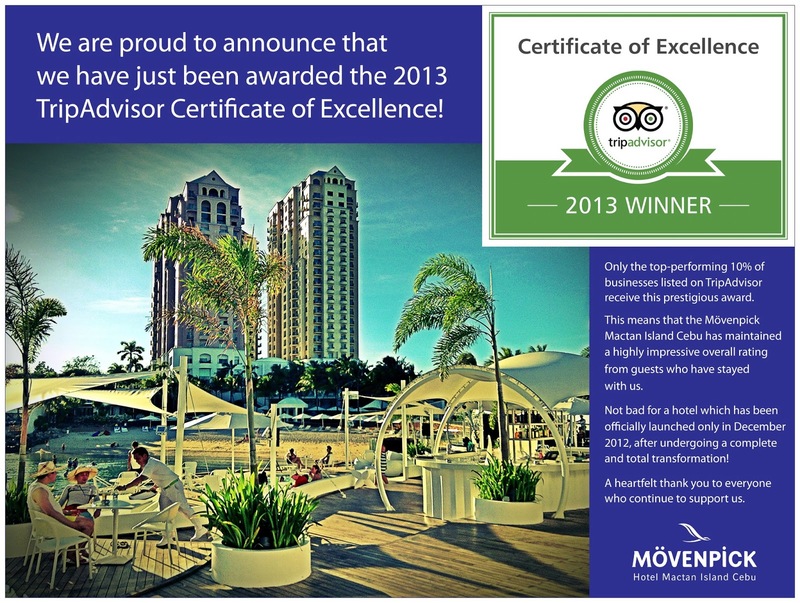 Recently re-launched on December 15, 2012, after having undergone a PHP 500,000,000 transformation, the Moevenpick Hotel Mactan Island Cebu is proud of the fact that it has been publicly recognized with such a prestigious award after having only been in operation for less than six months- a feat that is truly difficult for any hotel to rival. Knuth Kiefer, the hotel's General Manager when asked about the award said, "it's pleasing to see that our guests have chosen to recognize us in this manner." He went on to say that "the hotel has continued to develop its services over the past 6 months and will continue to strive to refine its services further over the coming 6 months." 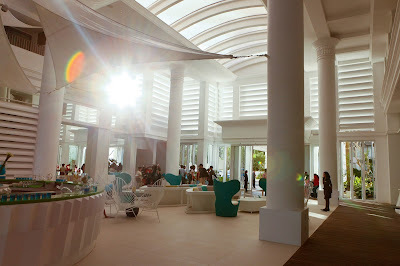 Moevenpick Hotel Mactan Island Cebu is the flagship property for Moevenpick Hotels & Resorts in the Philippines, and will soon be joined by the Moevenpick Huma Island in Palawan.